Where did I go hiking in Ireland in 2013? I thought it might be worth doing a photo review of the year, month by month, to pick out some of my highlights. 2013 was a year of unusual weather, a late and exceptionally cold winter that ran into April, a warm and balmy summer, and a very dry autumn. This is reflected in the images I have picked out to illustrate the hiking year. Winter really only got going in January, and it certainly made up for lost time, with heavy falls of snow over much of the uplands. We stayed fairly close to Dublin, hiking mostly in the Dublin/Wicklow Mountains, and this shot was taken on the way to Fairy Castle in the Dublin Mountains. There was a bit of a lull in the cold weather in February, and we headed to Connemara for a few days, staying in the picturesque, but now hibernating, village of Clifden. 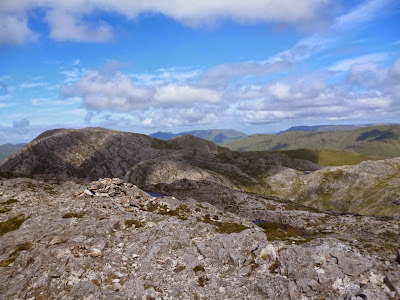 In good weather the mountains of Connemara can be a delight, but we had a very mixed bag of sunshine, showers and gales. 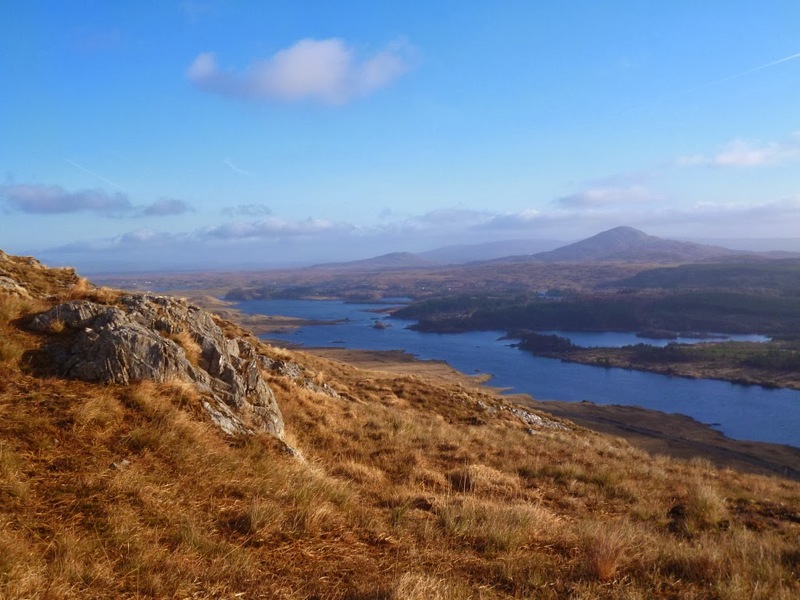 This is Loch Bhaile na hinse from the lower slopes of Ben Lettery, on one of the better days. The summit cairn marking a frozen, and eerie place on this occasion. 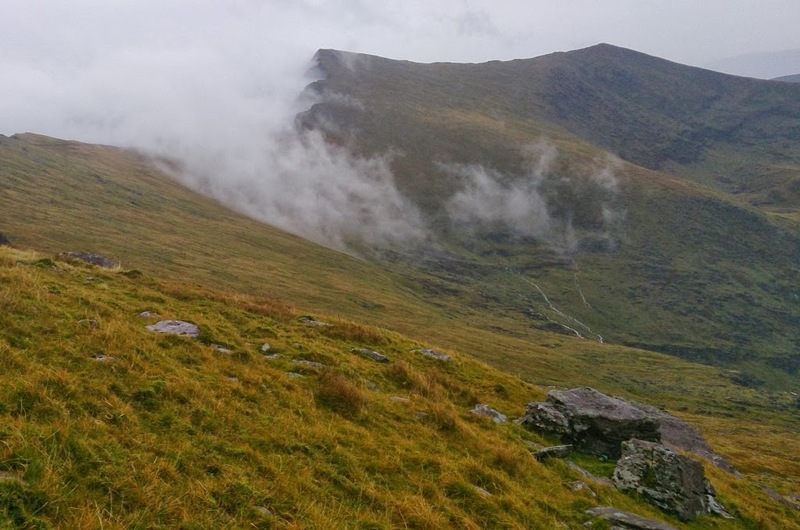 The cold weather persisted through April, there were more trips into the Wicklow Mountains and a visit to the Cooley Mountains on the northeastern coast of Ireland. This is a land of legends, of sleeping giants and ancient battles, the hills often shrouded in cloud. 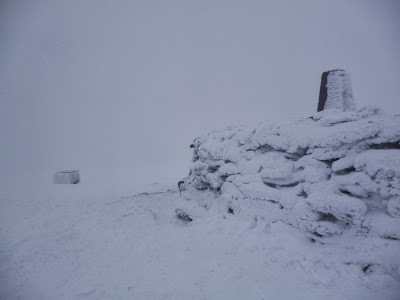 This picture is of Slieve Foy, the high point of these hills, looking cold and sullen under a blanket of icy mist. The weather broke, and it began to get warmer, I went to Scotland for two weeks, but also got a chance to get some air and great views nearer to home, including Mullaghcleevaun, in the Wicklows, this shot taken looking west from the summit, over Poulaphouca reservoir. Burren in Bloom is a great celebration of the wonderful flora of that very special place, a stark limestone landscape close to the Atlantic Ocean, it takes place in May, when the flowers are at their best. We went in mid June, on a very hot weekend, and were not disappointed, the late winter had delayed the flowering and our visit coincided with a riot of colour and rich beauty. But which one of the wonderful plants to include? 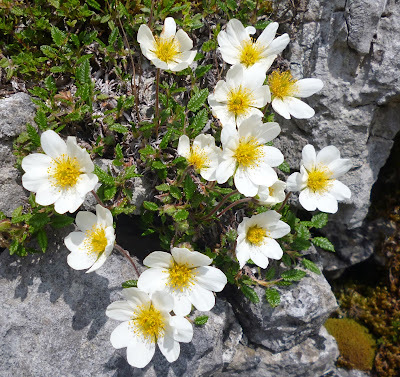 I have chosen the bright and ever present Mountain Avens, a jewel of the Burren. 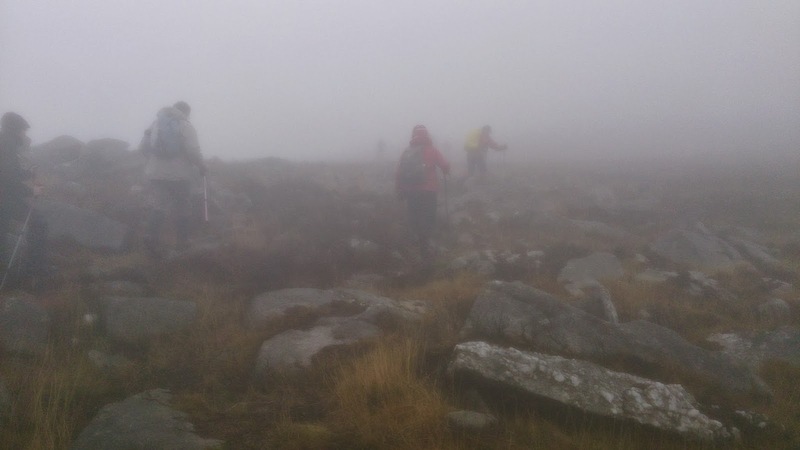 The weather continued to stay warm, and predominantly dry, this allowed for several pleasant walks in the mountains near Dublin. 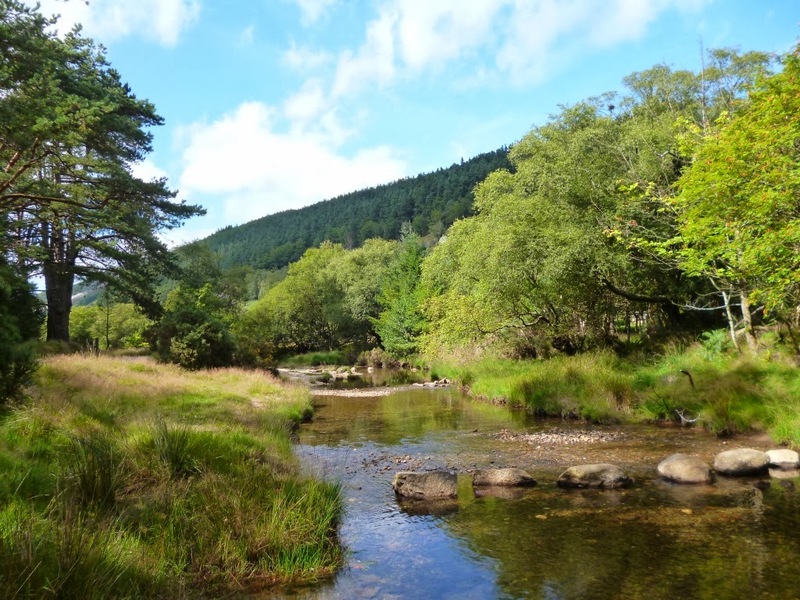 This lovely green scene is of the Glendasan river near Glendalough, in the Wicklow Mountains. ntains of Connemara, and so I returned on a sunny bank holiday weekend with a couple of friends to climb Carrot Ridge on Bencorr, in the Twelve Bens. We also had a wonderful day meandering along the ridge of the Maumturks and this photo is of Letterbreckaun taken from Knocknahillion, which highlights the terrain of the area well. 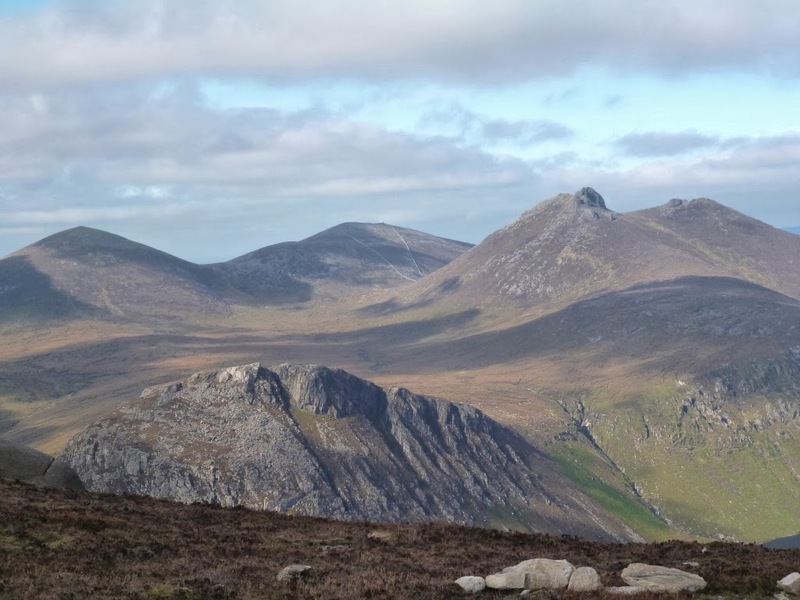 The massive and imposing granite tors of the Mourne Mountains are an iconic feature of the Irish landscape, much loved and much hiked. We found ourselves there on a chilly but sunny day to climb Slieve Binnian and walk the Devil’s Coach Road north. 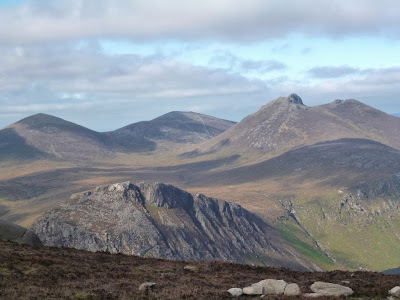 This is a rugged footpath rather than a road, which rises and falls over several of the broad ridged summits of the Mournes. This view is of Ben Crom and Slieve Bearnagh, taken from the ‘road’. On the holiday weekend, with a very unpromising weather forecast, we headed to the Dingle peninsular on the exposed southwest coast for three days. 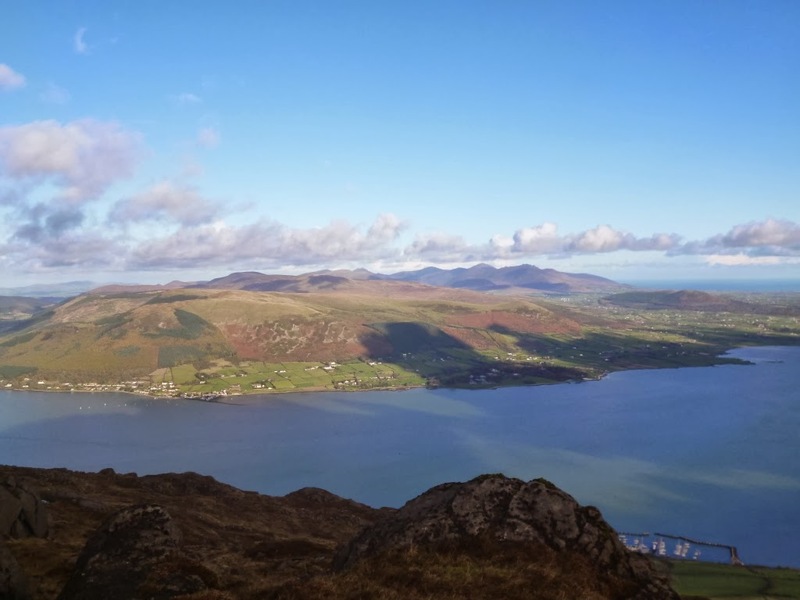 The peninsular is a narrow strip of mountainous land that juts out into the sea that has at its end, the symbolic peak of Brandon Mountain, a pilgrimage route for many centuries. 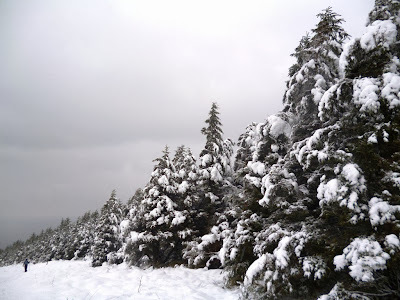 We climbed the 952 metre Brandon Mountain on a blustery, wet and cloudy day, and on the following day, in even windier conditions, we hiked the nearby Beenoskee. This is Brandon Peak, taken from the slopes of Brandon Mountain in a brief break in the cloud cover. Back in the Cooley mountains, in complete contrast to our visit in April, we climbed Slieve Foy on a crisp, cool and clear day. We had sweeping views over Carlingford Lough to the Mourne Mountains and even as far as the Isle of Man, out in the Irish Sea. It is often too cloudy for good views, but we saw only its kinder face, looking from the summit of Slieve Foy north to the Mourne Mountains. 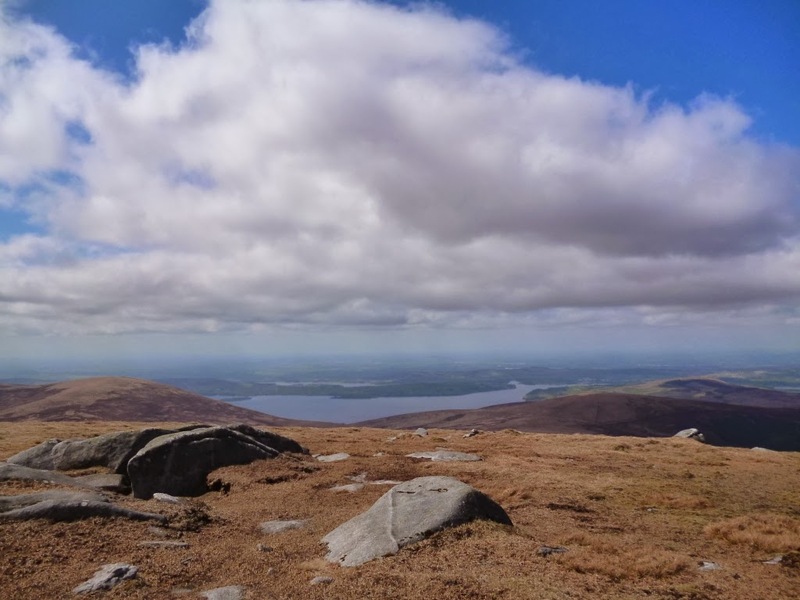 So, we have come to the end of another year, and we finish it on Blackstairs Mountain, at 735 metres the second highest point on a narrow ridge of hills in County Carlow, in the southeast of Ireland. The day was misty, windy and wet, not unsurprising for December, and the views nonexistent. Indeed, it was difficult to see the person walking ahead of you, as you can see for yourselves. I am looking forward to more exploring, climbing, trekking, camping and hiking in 2014, and hope that you are too. Take care and Happy Christmas.